How to check your AK headspacing – New Video is out! WBP FOX AK: 2,500 Rounds Later, new Video Update! Century VSKA AK: 2,500 Rounds Later! 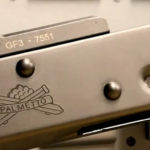 Fully Forged AK47 style from Palmetto State Armory Debuts today! BREAKING NEWS: Fully Forged AK47 style from Palmetto State Armory Debuts today! This is 100% made in USA AK, which has forged trunnion, bolt and bolt carrier. Code name: PSA AK47-GF3. They go live for sale at 11:30AM ET. I will attempt to buy one for 5000 rounds testing (I will use my local gun store, Rink’s Gun & Sport ). Also, my guy inside PSA, leaked to me that they are working on AK version in 7.62×39 featuring FN made barrels…look for early 2019 release date…but this is unconfirmed information at this point. CZ Scorpion Evo3 S1: 2,000 Rounds Later Update!